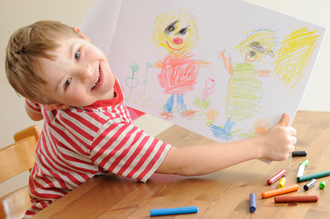 The Kellar Institute for Human DisAbilities (KIHd) is an interdisciplinary campus-based organization focusing on improving the lives and productivity of children and adults with disabilities. 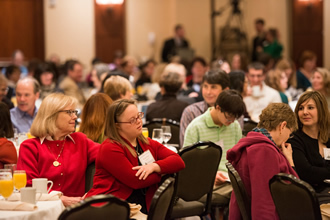 KIHd combines the resources of the university with local, state, regional, national, public, and private sector agencies and organizations to develop products, services, and programs for persons with disabilities. 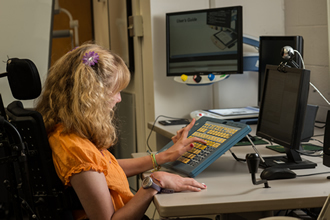 The Kellar Institute for Human DisAbilities (KIHd) collaborates with a consortium of Virginia universities to offer training/licensure options for teachers of students with visual impairments and severe disabilities. Distance education makes the programs more accessible and maximizes the number of individuals who can receive the training. With the support from Virgina Department of Education KIHd serves teachers, parents, therapists, and community service providers by providing a variety of continuing learning experiences via annual workshops, conferences, and project activities. In many cases, KIHd uses distance education to provide teacher training and professional development across the state. 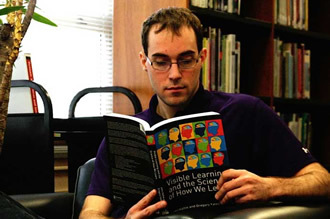 The Kellar Institute for Human DisAbilities (KIHd) continues to build and support numerous educational research projects that vary across disciplines spearheaded by the Mason faculty members. Our goal is to increase evidence based instructional and behavioral strategies to improve academic outcomes for all students with disabilities. 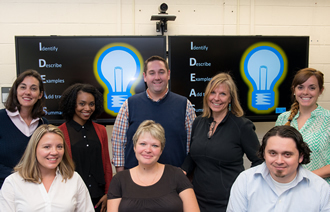 The Kellar Institute for Human DisAbilities (KIHd) doctoral students conduct cutting edge research at George Mason University that is aimed to serve persons with disabilities and their families. The focus of each manuscript should be on Postsecondary Education and Individuals with Intellectual Disabilities. We are interested in Practitioner and Research Pieces of approximately 15-20 pages double-spaced (although smaller pieces are welcome and will be reviewed). Submissions should be made electronically to Rachel Korpan Lee at rkorpant@gmu.edu. Manuscripts must be original material not previously published by the author, and must be prepared according to APA guidelines. Please ensure that only the cover page of each manuscript includes the names and affiliations of each author, as well as the contact information of the principal author. Manuscripts will be peer-reviewed; after review, recommendations will be made to the editors for acceptance, rejection, or acceptance with revisions. The author will be made aware of the reviewers' and editors' decision. Editors reserve the right to make minor changes to the manuscript that do not materially affect the meaning of the work. The editors will assume that the author of the submitted manuscript has obtained written permission to use any figures, tables, charts, imagines, etc., that are not his/her own creation. Please format tables, figures, and images in such a way as to make their copying, editing and publication simple. Contact Rachel at rkorpant@gmu.edu with any concerns or questions.